Вартість: 5559 грн. + розтаможка 1280 грн. These 1/10 oz Gold American Eagles are graded a Near Perfect Mint State-69 by NGC. Add several of these to your portfolio today! Random Year - Date(s) will be of our choosing and may or may not vary, determined by stock on hand. Your eBay orders are shipped by us via Registered/Insured U.S. Mail, UPS, or another common carrier, at our discretion. Each package is fully insured. Packages sent via registered and insured mail can take on average 5-10 business days to receive. Shipping is FREE for all domestic purchases. All duties and taxes must be paid by the customer on delivery. You may be subject to taxes and/or duties for your order. Please consult your local customs broker for more information on duty and tax rates. We always declare the full value of the shipment on any customs form. There are no exceptions to this rule. Currently, all of our shipments are shipped FedEx International Economy or UPS Worldwide Expedited and must be shipped to a physical address. We do not typically accept orders from international customers using freight forwarding services such as Vpost addresses. If orders are placed online with Vpost or freight forwarding addresses, all risk of loss for such orders is borne by you once APMEX delivers your product to the freight forwarding service or Vpost. All eBay Order requests are reviewed on an order by order basis. In addition, we will only ship to an eBay confirmed address. We reserve the right to refuse any eBay Order deemed questionable or of significant risk to APMEX regardless of price confirmation. 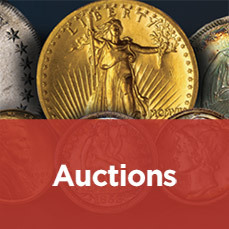 APMEX insures all of its eBay Order shipments to you for the purchase value of the enclosed Product purchased from APMEX, subject to the following limitations. Should anything happen while your package is in transit to you, you might be permitted to claim coverage under our insurance policy provided that you directly receive the package from the common carrier. Neither we, nor our insurance company, accept (and we specifically disclaim) responsibility if you have left instructions with any carriers or delivery service to leave parcels for you without the need for your signature. Nor do we, nor our insurance company, accept (and we specifically disclaim) responsibility if you have given any carriers or delivery service instructions to leave your package with someone else, such as a building manager, neighbor, or a drop-off location such as Mail Boxes Etc., The UPS Store, or similar third party drop off locations. In any such case, YOUR PACKAGE WILL NOT BE COVERED FOR INSURANCE BY APMEX OR OUR INSURANCE CARRIER. If you do not receive the package directly from the common carrier, you agree to take all reasonable actions to assist in recovery of the package, including but not limited to filling out reports (and/or police reports) and providing all information needed or that may be requested to assist in recovery of the package. If you do not fully cooperate in recovery efforts, neither APMEX, nor our insurance company or carrier, will have any liability to you. You have thirty (30) days after the ship date to contact APMEX if you believe your package has been lost or damaged in transit. We see very few delivery issues with our carriers, but sometimes delays do occur. In those situations, we appreciate your patience to wait a little longer for your package (at least 7 business days) before contacting us. Should the package not arrive, an investigation of the shipment is required before any order is reshipped or refunded. We may ask you to file a police report if it appears loss is due to theft or tampering. Your assistance speeds up the investigation and the sooner we complete it, the sooner we can resolve the missing order. When we ship to you, if Products are lost or damaged in transit, it is our responsibility to pursue any claim with the insurance company. If we determine the package is lost or damaged, we file a claim. Once the claim is filed, we reserve the right to re-ship your items or refund your money at our discretion, and APMEX shall have no further responsibility or liability to you. If there is any disruption in the delivery of a package to you, you agree to cooperate with us in any investigation or claim process and to take every reasonable action requested of you in the process. Failure to fully cooperate will jeopardize coverage that may be provided to you. We want our customers to be satisfied with their purchases at APMEX. At your request, we may, but are not obligated to, provide you with an opportunity to exchange certain Products you purchased for an identical Product in the event of a material defect. If we agree to do so, such exchange must be made within three (3) Business Days from the date on which the customer receives his or her items and only to those customers who timely and properly notify our Customer Service Department via an eBay member to member message. If approved, the Customer Service Department will give you instructions on how to exchange your items. You have no right to cancel or return any eBay Order. Shipping and handling charges are non-refundable unless it is determined that the product arrived not as described as the condition in the listing. For approved exchanges, you must follow all instructions provided by Customer Service, including carefully packaging the Product. You are responsible for the cost of return shipping and the risk of loss during the return shipment as part of the exchange. APMEX reserves the right, at its sole discretion, to reject any exchange that does not comply with these requirements. If an exchange is requested, we reserve the right to accept or refuse the exchange request in our sole discretion, and to require you to pay for any Market Loss on approved exchanges. Any Market Gain on refunds shall vest in and remain the property of APMEX. Once we have issued a confirmation (a) all prices are locked-in and (b) there is a binding contract between us for your transaction. You have no right to cancel your eBay Order. If you default in your performance of payment or any other act required by you to complete your transaction in the times required by these terms, we may cancel any such eBay Order. We reserve the right to cancel any eBay Order at any time and for any reason. eBay Order changes are not permitted. We suggest you take the time up front to make sure what you want is exactly what you request from us as reflected in your eBay Order. Q: How often are prices updated? A: Our prices update every 10 minutes according to the market moves in order to give you the most up-to-date pricing available on eBay. Our listings remain live while pricing updates so you don't have to worry about listings being removed and reposted. Q: Is there a minimum order amount? A: No order is too small when placed through APMEX on eBay. Orders of all dollar amounts are welcome. Q: Can I change my order once it's placed? A: Processing begins immediately upon completion therefore changes cannot be accepted. Please take your time and be sure the items you order are exactly what you wish to purchase. A: Once your order is completed it cannot be cancelled. Please be certain of your order before finalizing. Q: How long will it take to get my item? A: Please allow 5-10 business days to receive orders. A: APMEX on eBay does offer international shipping to select countries. Not all listings are eligible for international shipping. A: We ship to the United States, Canada, and several more countries worldwide. Please add your zipcode on the listing level to see if the listing is eligible to ship to your country. A: Shipping is FREE for all domestic purchases. A: APMEX orders are shipped U.S. Mail or UPS. Each package is fully insured at no extra cost and may require a signature upon delivery. Q: Can you combine shipping charges if I place more than one order? A: Separate orders will not be combined; however, you can combine your purchases into one order by using the "add to cart" function prior to checkout. This feature allows you to save money on shipping and receive all your items in one package. Q: Is my package insured while in transit? A: APMEX fully insures all of its shipments. During transit, the package is covered by our insurance policy. However, we do not accept responsibility if you have given instructions to carriers or delivery services to leave parcels un-attended for you, without the need of a signature. Or, if you have left instructions for the carrier/delivery service to leave the package with someone else, such as a building manager, neighbor, drop-off location such as Mail-Boxes, the UPS Store, etc, these are not covered by our insurance. Additionally, if a package is signed for by the apartment/complex building management, we do not assume responsibility. Q: What do I do when my package appears to be lost? A: When APMEX ships to you, if metals are lost or damaged in transit, it is our responsibility to pursue any claim with the insurance company. You have thirty (30) business days to contact us after the ship date, if you believe your package is lost or damaged. We see very few delivery issues with our carriers, but sometimes delays do occur. In those situations, we appreciate your patience to wait a little longer for your package (at least 7 business days) before contacting us. Should the package not arrive, an investigation of the shipment is required before any order is reshipped or refunded. We may ask you to file a police report if it appears loss is due to theft or tampering. Your assistance speeds up the investigation and the sooner we complete it, the sooner we can resolve the missing order. A: Payment will need to occur with PayPal using the immediate pay option on eBay. This means that payment will occur simultaneously when you move through eBay's checkout. Q: Can I pay with an eBay gift card or gift certificate? A: Yes - if you have a gift card or promotion code you can use this via eBay's checkout process. Q: How do I confirm that my eBay gift card, gift certificate or coupon was applied to my order? A: As a buyer you can review your "order details" to determine the portion of the order that had a gift card or promotion code applied to it. We want our customers to be satisfied with their purchases at APMEX. At your request, we may, but are not obligated to, provide you with an opportunity to exchange certain Products you purchased for an identical Product in the event of a material defect. If we agree to do so, such exchange must be made within seven (7) Days from the date on which the customer receives his or her items and only to those customers who timely and properly notify our Customer Service Department via an eBay member to member message. If approved, the Customer Service Department will give you instructions on how to exchange your items. You have no right to cancel or return any eBay Order. Shipping and handling charges are non-refundable unless it is determined that the product arrived not as described as the condition in the listing. For approved exchanges, you must follow all instructions provided by Customer Service, including carefully packaging the Product. The reason to return product to APMEX will dictate who is responsible for the cost of return shipping and the risk of loss during the return shipment as part of the exchange. APMEX reserves the right, at its sole discretion, to reject any exchange that does not comply with these requirements. If an exchange is requested, we reserve the right to accept or refuse the exchange request in our sole discretion, and to require you to pay for any Market Loss on approved exchanges. Any Market Gain on refunds shall vest in and remain the property of APMEX. These Terms & Conditions (the "T&C") govern your transactions with APMEX on eBay. When you buy from us, you must pay with PayPal Immediate Payment. If you default and payment is not timely received by APMEX, APMEX reserves the right in its sole discretion to (a) accept your payment, (b) refuse your payment and cancel your eBay Order, and/or (c) preclude you from making future Purchases from APMEX. We reserve the right to refuse or cancel any eBay Order at any time, including if it is deemed questionable or of significant risk to APMEX regardless of price confirmation. Supply and demand problems occasionally occur in our business. From time to time, we have more buyers than sellers. If this should happen, we reserve the right to cancel your order and refund your purchase cost. Once you have placed an Order to buy from or sell to APMEX, you have entered into a binding contract. When you buy from APMEX, once we have issued a confirmation, you have a binding contract and the transaction price is locked-in and the corresponding market risk is transferred. However, if you default in your performance of payment or any other act required to complete your transaction in the times required by these terms, we may cancel your eBay Order. If your Order(s) is cancelled, you agree you have full responsibility and liability to APMEX for any Market Loss. You must also pay to, and have full responsibility and liability to APMEX for, all fees and costs associated with APMEX’s efforts in collecting from you. Any Market Gain on Purchase Order cancellations shall vest in and remain the property of APMEX. We reserve the right to cancel any Purchase Order at any time and for any reason. We work hard to provide accurate Product and pricing information to you. However, pricing or typographical errors may occur. In the event that an item is listed at an incorrect list price or with incorrect information due to an error in pricing or Product information, APMEX shall have the right, in its sole discretion, to refuse or cancel any eBay Orders placed by you for that item. We will either contact you for instructions or cancel your eBay Order and notify you of such cancellation. Prices and availability are subject to change without notice. Additional terms relating to certain Products (such as prices, methods of payment, our policies with respect to returns, refunds, and cancellations and/or exchanges) may be posted on the eBay listings describing the Products. All investments involve risk; Coins and Bullion are no exception. 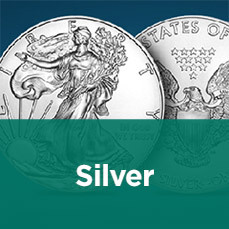 The value of a Bullion Coin (e.g., American Eagles or Canadian Maple Leafs) is affected by many economic factors, including the current market price of Bullion, the perceived scarcity of the Coins and other factors. Some of these factors include the quality, and current demand and general market sentiment. Therefore, because both Bullion and Coins can go down in price as well as up, investing in them may not be suitable for everyone. Because all investments, including Bullion and Coins, can decline in value, you should understand them well, and have adequate cash reserves and disposable income before considering a Bullion or Coin investment. Please consult your financial advisor. APMEX does guarantee that every item that we sell is genuine and that all Precious Metal items do contain the weight, fineness, and purity that we have advertised. However, all investments, of every type, involve some level of risk and Precious Metals are no exception. Like many markets, the Precious Metals market is speculative, and it is unregulated. The value of any Bullion item is generally determined by current spot price of the underlying Precious Metal and by the supply and demand for these particular items. These prices will fluctuate throughout the day while the Precious Metals market is open. If you are considering purchasing Precious Metals as an investment, you should assess the stability of the current market and contact your financial advisor for all advice. 1. APMEX. The term "APMEX" means APMEX, Inc., a Delaware corporation. 2. Bullion. 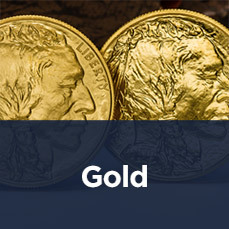 The term "Bullion" is used to describe (1) Gold, Silver, Platinum or Palladium Coin(s) which closely follow spot prices and have little or no Numismatic value (such as restrikes); and (2) the form in which metal is shaped such as bars, ingots or wafers. 3. Business Day(s). The term "Business Day(s)" means a day other than a Saturday, a Sunday or a day that is a holiday under the federal law of the United States of America and/or the laws of the State of Oklahoma. 4. Coin(s). The term "Coin(s)" means a stamped piece of metal of a known weight and fineness issued for commerce by a sovereign government. 5. Fair Market Value. The term "Fair Market Value" means the Fair Market Value of the Product as determined by APMEX, in its reasonable discretion, as of 5:00 p.m., Oklahoma City, Oklahoma time, on the date of cancellation of the eBay Order or the Sale Order. 6. Market Gain. The term "Market Gain" means: When a eBay Order or Purchase, as the case may be, is cancelled by APMEX, the term "Market Gain" means any increase in value between (a) the Fair Market Value of the Products on the date of the cancelled eBay Order or Purchase; and (b) the original purchase price of the Product(s) as it appears on the cancelled eBay Order. If the difference in any calculation of Market Gain with respect to the Purchase of a Product from APMEX by a customer is less than, or equal to, 0, then there is no Market Gain. 7. Market Loss. The term "Market Loss" means: When a eBay Order or Purchase, as the case may be, is cancelled by APMEX, the term "Market Loss" means any decrease in value between (a) the original purchase price of the Product(s) as it appears on the cancelled eBay Order; and (b) the Fair Market Value of the Products on the date of the cancelled eBay Order or Purchase. If the difference in any calculation of Market Loss with respect to the Purchase by a customer from APMEX of a Product is greater than, or equal to, 0, then there is no Market Loss. 8. Numismatic Coin(s). The term "Numismatic Coin(s)" means a Coin, the price of which depends more in its (their) rarity, condition, dates, and mint marks than on their gold or silver content, if any. 9. Numismatic. The term "Numismatic" means the study or collection of anything used as a medium of exchange- especially Coins and paper money. 10. Order(s). The term "Order(s)" means, as applicable a confirmed Purchase from APMEX. 11. Precious Metal. The term "Precious Metal" means Gold, Silver and Platinum along with the Platinum group of elements: rhodium, osmium, ruthenium, Palladium and iridium. Precious Metals are characteristically lustrous, ductile, rare and nonreactive. 12. Semi-Numismatic. The term "Semi-Numismatic" means a Coin that has both Bullion and Numismatic value. (a) Forum Selection and Governing Law. The federal and state courts located in Oklahoma County, Oklahoma shall have exclusive jurisdiction of all actions arising out of or relating to the transactions between you and APMEX, including but not limited to the T&C. All such disputes shall be resolved exclusively in such federal and state courts, as appropriate, in that jurisdiction. You hereby consent to personal jurisdiction and venue in those federal and state courts for the purpose of resolving any disagreements or disputes between us and waive all objections to the jurisdiction of such federal and state courts. Any action arising out of or relating to these T&C shall be governed by, and interpreted in accordance with, the laws of the State of Oklahoma, without regard to conflict of laws principles. You shall hold the existence and terms of all your transactions with APMEX, including, without limitation, the existence of any disagreement or dispute and the existence and the terms of any resolution thereof, in strictest confidence and you shall not disclose any such information to any person or entity unless (a) such disclosure is required by applicable law or regulation or (b) such disclosure is required by a court or other tribunal of competent jurisdiction. If you become aware that you may be required to make any disclosure of such information, including, without limitation, as a result of the receipt of a subpoena or other compulsory process, you shall promptly notify, in writing, APMEX and you shall cooperate, in good faith, with APMEX in obtaining a protective order or other appropriate relief, if any, with respect to such disclosure.